No child’s growing years should be devoid of a sense of excitement and adventure. These opportunities enhance a child’s sense of environmental awareness and self-esteem. Children learn to help each other and build a sense of comradeship. Adventure activities include white water rafting and Para- sailing which are voluntary, and mid-term treks and expeditions. 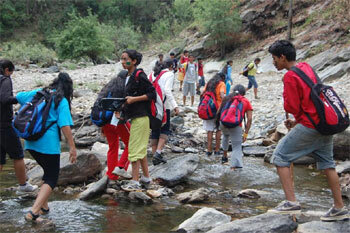 Boy-Scouting and Girl-Guiding is compulsory for senior students. Training for Bulbul-Cubs is also imparted to the Junior Wing all through the year. The standards for all these types to training are on all India level, and are strictly according to the instruction of the Government.